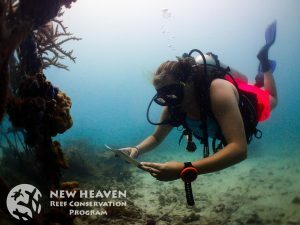 During my time working with the New Heaven Reef Conservation Program in Koh Tao, Thailand, I gained invaluable skills in physical restoration of natural reefs as well as building, deploying, and maintaining artificial reefs. I also completed scientific ecological monitoring surveys, which helped the team gain a full understanding of the health of the local ecosystem. Through analysis of these data we could identify current stressors the reef was facing and work to best mitigate those issues. Many times the projects NHRCP works on are in collaboration with the Thai government. The MAPP program has taught me how to best articulate conservation issues and goals in such a way that gain public and governmental support, which is necessary for small conservation groups to succeed. 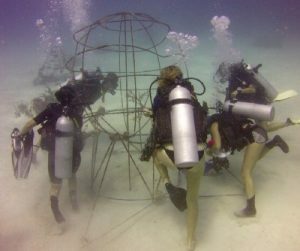 My time in the classroom coupled with the incredibly inspiring field-work has left me ready to continue in the field of coral restoration and conservation. Cheyenne Carey at the the Hin Fai site. 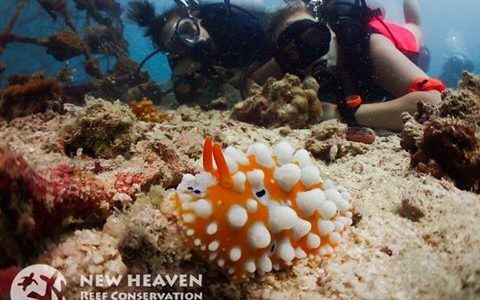 Photo by New Heaven Reef Conservation.